While there may have been some turbulence along the way, it would be fair to say that relations between France and the United States have been strong for centuries. 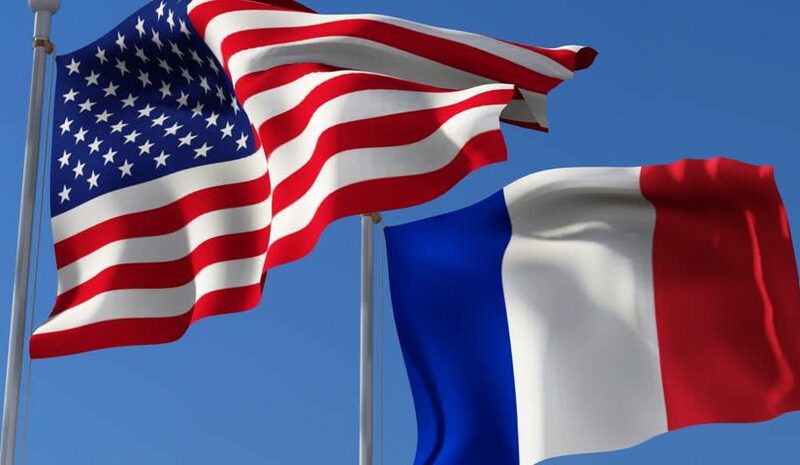 The fact that an estimated three-quarters of French view Americans favorably says everything you need to know about the relationship, while at the same time 82% of Americans think the same about France. Historically, there are still a lot of talking points surrounding the two countries though. We’ll now take a look at some of the major occurrences that have happened between the nations over the last few centuries. We’ll start the story at the American Revolution. For a long time there were no problems between the colonies of the British and French – but all of this changed following the Glorious Revolution in England. It caused a lot of unrest, particularly between the Catholic French and Protestant British, in America and Europe. This resulted in the French and Indian Wars; battles that tended to take place in the U.S. and included the likes of King William’s War between 1689-97 and the Seven Years’ War between 1756 and 1763. After the French were defeated in the latter, Great Britain opted to remove France from North America in 1763. October 1778 was significant for France; this was the period in which the country put together treaties of commerce and alliance. The result was that they were bound to fight Britain until the United States became independent. While the initial military alliance may not have started as fruitfully as both countries may have wished, over time it improved. It reached its peak after Comte de Rochambeau arrived in the U.S. to meet with General Washington in 1780. This sparked a resurgence which allowed the Franco-American group to prosper at the siege of Yorktown in 1781 – with this effectively meaning that the war was over for the Americans. Over time the situation in France started to change. 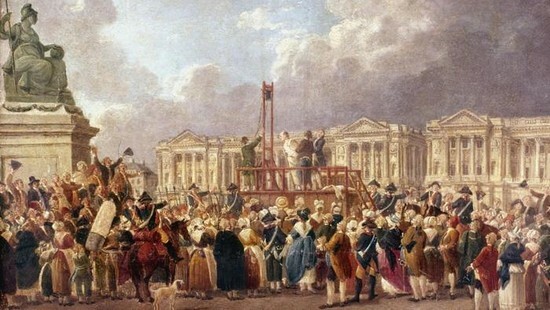 They were the subject of several invasions, while on their own soil King Louis XVI was accused of high treason. It resulted in the country becoming more authoritarian than ever before and the American’s changed their attitude to the country. When France then became at war with Great Britain in 1793, the immediate response from the U.S. wasn’t to jump to the country’s defense. This confusion was partly due to the earlier treaty which had been reached, which also covered military areas. In the end, the U.S. opted to not support the country in its war. This was initially expressed by President George Washington in the 1793 Proclamation of Neutrality, while a year later it was reinforced after Congress forbid any U.S. citizens participating in the war. From this point on there were several moments of tension between the countries. Napoleon Bonaparte was certainly causing problems for the U.S., who did not want French to be so powerful in the west. There was something of a power struggle overall, with France, the U.S. and Great Britain all at the center of it. In fact, it wasn’t until the removal of Napoleon III in 1870 where the relationship between France and America started to improve again. 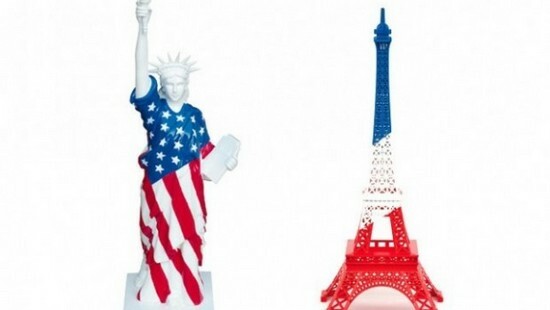 Even though the U.S. were becoming the more powerful force between the two, relations between the countries were friendly and this can be emphasized with the Statue of Liberty which was given by the French in 1884. The repaired relationship between France and the U.S. can perhaps be emphasized through World War I. Even though the U.S. were neutral to start with, in 1917 they came to the assistance of France in terms of finance, food and ammunition. 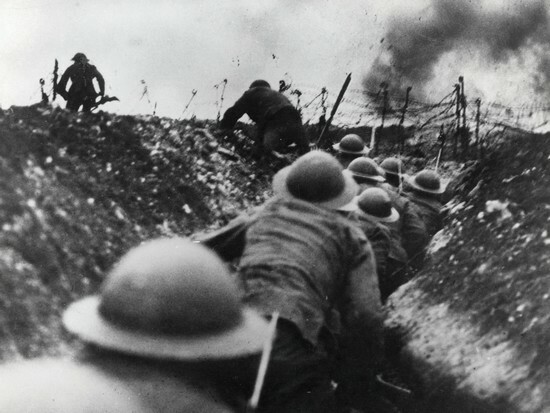 One year later their efforts intensified, with the country providing France with an additional million combat troops. It would be fair to say that there were several areas of disagreement between the two countries in the aftermath of World War I, but all of that was put to one side as World War II approached. Once again, the U.S. supported France, this time over Nazi Germany. There were occasions where the U.S. severed diplomatic relations, but these only occurred when Germany started to take control of some parts of the country. However, in general the Americans were very much on the side of the French and this was emphasized in their resistance at preventing Hitler from destroying Paris – which was one of his key aims. The postwar period perhaps sums up the relationship between these two countries to a tee; it was fragmented. On one hand, they cooperated, on another there were small problems. In relation to the former, the U.S. were favorable in terms of historic loans that had been struck between the countries. For example, the French owed $2.8 billion from debts from World War I, but this was instead forgiven and the U.S. provided a completely new loan of $650 million. All that was required in return was a plan to recover and redevelop France again, something which was put into motion by Jean Monnet who was the negotiator for France. In fact, the two countries became formal allies again during the Cold War in 1949. This came about through the North Atlantic treaty, which eventually put together the NATO military alliance. However, it wasn’t all easy for the countries. For example, in 1956 the French were part of a number of countries including Britain and Israel which opted to attack Egypt. 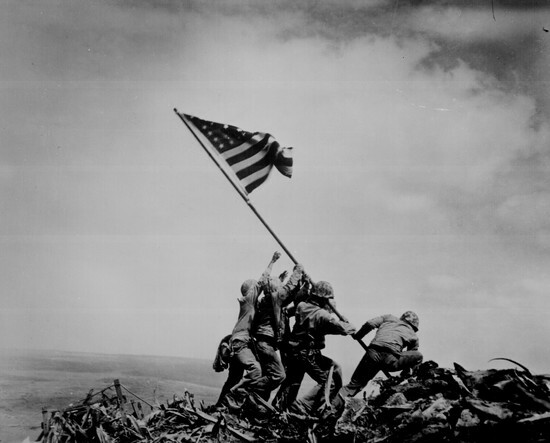 This was something which President Eisenhower opposed and forced all to withdraw. As a result, the UK opted to follow the American policy in relation to the Middle East – but France remained unconvinced, and opted to go alone. Perhaps the biggest downturn in the relationship during the period was during Charles de Gaulle’s tenure though. The United States opposed the French’s nuclear weapons policy and following these disagreements, de Gaulle opted to withdraw his forces from NATO. The concept behind this was simple; de Gaulle was attempting to limit the power of both the U.S. and Britain and as such, boost the status of France. His aim was to make France become a first-world power again. When de Gaulle lost power in 1969, relations between the countries started to improve again. There were plenty of occasions where the two countries disagreed, with the European Union being the subject of one of these, while there was also a strong argument with the Reagan administration which was attempting to stop France buying natural gas from Russia through a specially-built pipeline (the Siberia-Europe pipeline). Another challenge to relations occurred in 1995 as well, with several CIA officers being expelled from France after accusations of economic espionage. As you may have gathered so far, the relationship between France and the U.S. has been very turbulent. The Iraq War in 2003 certainly emphasized this, with the French, China, Germany and Russia all opposing the UN who had recommended a U.S. invasion of Iraq. Despite the above, overall at least, the relationship existed. While there may have been cases of the French foreign minister Dominique de Villepin criticizing President Bush, at the same time the country were aiding the U.S. by supplying them with vital intelligence. Nevertheless, it became clear that the disagreements on the war were having a direct effect on the public’s opinion. In 2006, a poll revealed that just one out of six American’s would view the French as an ally of their country. Most were incensed that France had not gone to war in Iraq and supported the American cause – even though they had been right behind the previous campaign in Afghanistan. Over time, the relationship during this period started to improve though. Additionally, amongst the disagreement, it’s also worth highlighting how there were other times of cooperation. For example, the two countries cooperated with the United Nations to form the Cedar Revolution – where Syrian troops were withdrawn from Lebanon. If we turn to more recent times, there’s no doubt that relations between the countries have become much stronger and the “turbulent” period appears to be over. This in part started following the election of Nicolas Sarkozy as President of France in 2007. The fact that Sarkozy was so public in his love of America only accelerated matters, while he regularly made an effort to meet and improve relations with leaders. From a military perspective, things have also improved. In 2008 the French reintegrated itself back with NATO – much to the approval of the U.S. Then, both countries were part of the coalition which intervened in Libya. These good relationships have continued following the election of François Hollande as well. He has continued his predecessor’s work of complimenting the U.S., even classing them as “our oldest ally”. Additionally, he participated in a visit to the U.S. in 2014 – which was the first time a French leader had visited the country in almost twenty years. Likewise, President Obama has declared that France were the country’s first ally and they are still to this day. Different continents, different language – it stands to reason that there are some major cultural differences between France and the United States. As we’ll soon find out, some of these can relate to quite trivial matters, while there are some differences that may make you raise your eyebrows a little more. First and foremost, most American’s immediately recognize that France is more expensive. Whether you are shopping for clothes or food – you will tend to pay more than if you were based in the U.S. If we hone in on the home, there’s general an element of surprise in relation to the bathroom. In France, it’s not uncommon to find that a bathroom has been split into two rooms; one with a toilet, and another with a sink and shower. As well as this, the French don’t tend to have window screens and will instead leave them open for long periods of the day to “air out” their room. Apart from the obvious difference with the countries driving on opposite sides of the road, there are other things that you will notice if you view the roads of both countries. In France, both the roads and cars tend to be on a smaller scale. While a lot of U.S. vehicles are automatic, in France it’s the opposite and the majority are manual. Additionally, jaywalking might be more than frowned upon in the U.S., but in France the outlook is much more relaxed. In France, it’s all about courses. In fact, for your main meal you can expect around four – with some families even surpassing this. They might be thousands of miles apart, but you can certainly expect to see the same brands donning the high-streets in both France and the U.S. Whether it’s Ford or Lays – you’ll feel at home in either country. It would be fair to say there’s more than a few cultural differences between the United States and France, but when it comes to sports any enthusiast is going to notice even more so. As most people know, there’s only one winner when it comes to the most popular sport in the U.S. – it’s football hands down. Suffice to say, the French don’t share these views and while their sport might officially be classed as football, it’s soccer as American’s know it as. So, why might this be the case? We’ve picked out the most popular sports in both countries to make a point here, but we have found three factors which seem to pinpoint exactly how each country feels about particular sports. Let’s take a look at them. Let’s switch to another popular sport to make this next point; ice hockey. This is a sport which is hugely popular in the north, with Canada and the north side of the U.S. having immense passion for it. The reason, in our eyes at least, is simple. The north is based around colder temperatures and as such, it promotes games like ice hockey. If we turn to France, this is a country where ice hockey is quite popular in the colder parts, but overall the main passion is soccer as the temperature just suits it down to a tee. 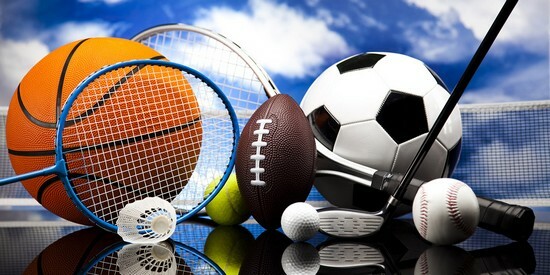 Another important factor which differentiates sports between countries is the history. The U.S. form of football was invented in this country and as such, it’s hugely popular. When you then consider the fact that soccer has been played in France since the ancient times, it stands to reason that it’s always going to be popular there. While football might be dominant in the U.S., it would be fair to say there are other sports which attract a lot of interest. We’ve already mentioned ice hockey in some parts, while there is also baseball and basketball. In France on the other hand, there tend to be just two popular sports; rugby and football. This is most likely due to the geographical factors. The U.S. is much bigger and therefore, there’s a much higher chance of people having varied interests in sports.